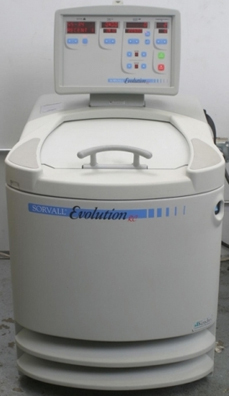 The Sorvall RC 3B Plus high capicity centrifuge offers reliable performance run after run with its large capacity, low-heat operation, and CFC-free refrigeration system. The model provides a range of innovative features including dial controls used for setting run parameters, an analog display for easy readout, dial-control deceleration, and overspeed protection. 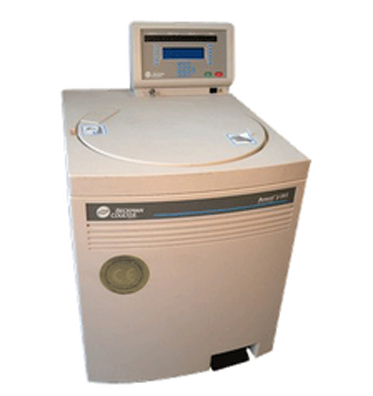 Equipped with a built-in temperature indicator, the Sorvall RC 3B Plus centrifuge is capable of indicating chamber temperature from -20°C to +40°C in 1°C increments. 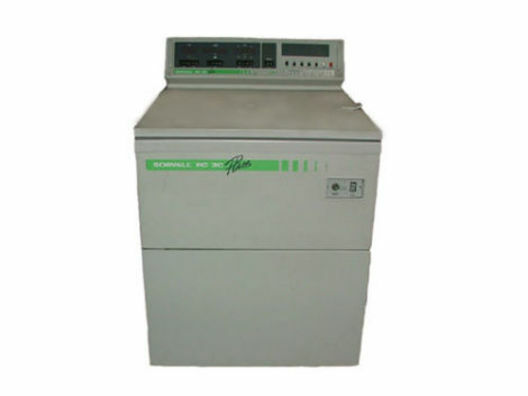 This Sorvall centrifuge features a speed indicator which gives continuous and accurate direct readout of rotor speed. The RC 3B Plus system is also equipped with a brake switch, door light, run light, and over temperature light to ensure easy and economical operation. 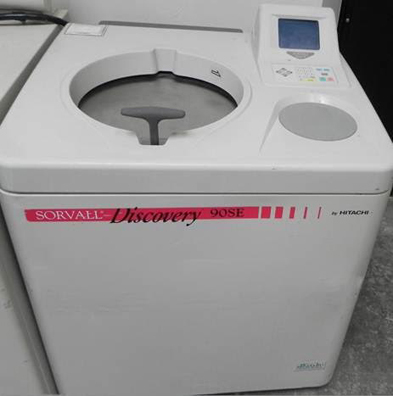 The Sorvall RC 3C Plus low speed, refrigerated centrifuge features large capacity, quiet, and low-heat operation with time-tested drive and refrigeration systems. Its automatic rate control system improves resolution and separation rates by providing smooth and efficient operations, while automated RCF determination enhances accuracy. The Beckman Avanti J-20 High Performance Centrifuge is a rapid solution for pelleting bacteria and other solids. 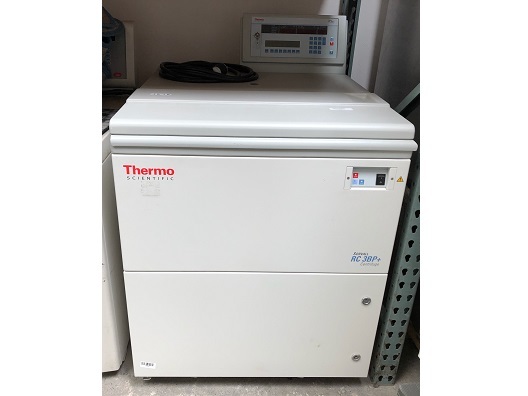 Its large chamber can accommodate the Beckman J-LITE JLA-1.8000—a rotor specifically made for applications which require speedy, large-scale centrifugation. The high rotor flexibility of the Avanti J-20 makes it the ideal centrifuge for users that spin sizeable volumes using high-speed rotors. Generally, this Beckman model can reach over 51, 500 x g with various other Beckman rotors. Integrated with a high-torque switch-reluctance (SR) Drive, the Beckman J-20 centrifuge allows users to significantly reduce processing time. The innovative “Smart FRS” (Friction Reduction System) also offers larger volumes and greater separation forces. Moreover, dynamic rotor inertia check is employed to provide proper rotor identification and maximum user safety. Estimated Shipping Weight: 628 lbs. 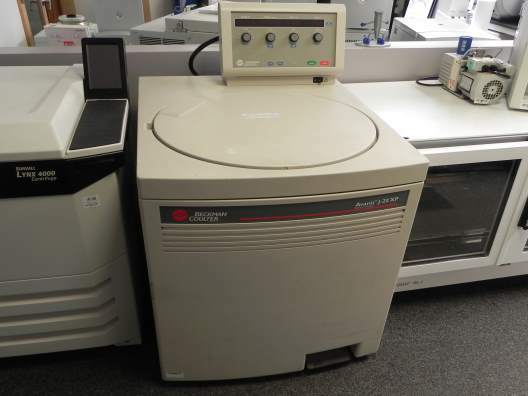 The Beckman Avanti J-25 High Speed Centrifuge offers faster acceleration and deceleration rates without compromising large volume and microplate capabilities. 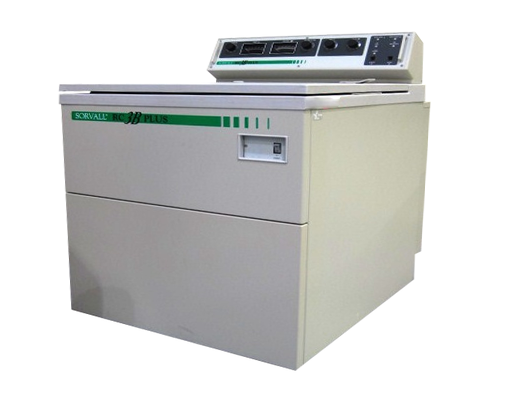 Part of the J-25 series, the Beckman Avanti J-25I High Speed Centrifuge incorporates all the features of the Avanti J-25 with the added creation and storage capability of up to 30 two-step user programs, zonor rotor capability, and SpinTrace software compatibility. 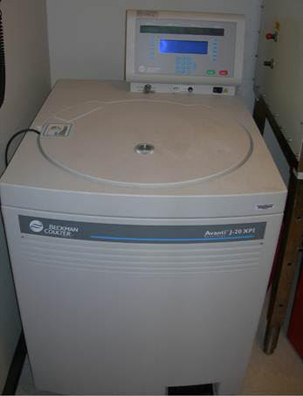 The Avanti J-25I centrifuge operates with 12 accel/decel rates, and provides viewing of set and actual run conditions.